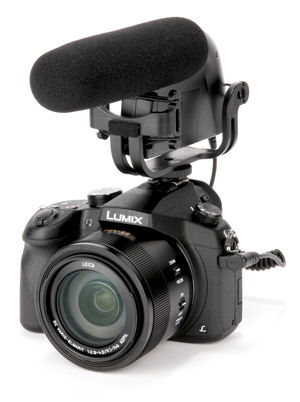 This suspends the microphone above the camera, which reduces the risk of picking up vibration noise caused by the camera’s movement. These microphones are powered in a variety of different ways, including AAA and 9V batteries, as well as being self-powered. Many of the microphones have a ±dB switch that helps them control the noise level recorded in high or low-noise environments. A high-pass filter – also know as a low-cut filter – will cut out low-frequency noise such as that created by an air conditioner. All of the microphones on test attach via a 3.5mm stereo jack, which is standard but worth checking generally. 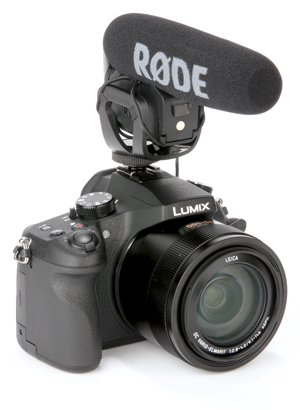 Start talking about video mics and it won’t be long before Røde’s VideoMic Pro gets a mention, as it is a very popular choice among video enthusiasts. It has a 40Hz-20kHz frequency range, and a high-pass filter that can cut out any noise below 80Hz, which is useful for reducing low-frequency environmental noise. Users can also adjust the sound down by -10 decibels (dB) in very loud environments and boost the audio gain by +20dB in quieter situations, using a switch on the back of the mic. Powered by a 9V battery, this mic has a respectable 70 hours of battery life. When tested, the VideoMic Pro had fantastic clarity, making a good distinction between a person speaking and background noise. With punchy and dynamic audio straight out of camera, this mic justifies its more expensive price tag. Another offering from Røde is the VideoMic Go. 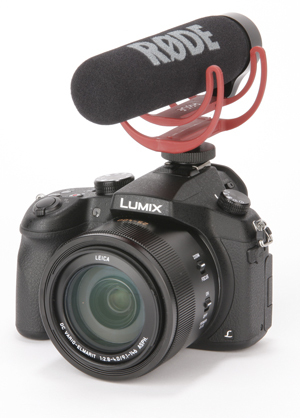 This is the budget product in the range, costing less than half the price of the VideoMic Pro. It’s smaller and lighter too, mostly because the VideoMic Go is self-powered, so it doesn’t need a heavy 9V battery. 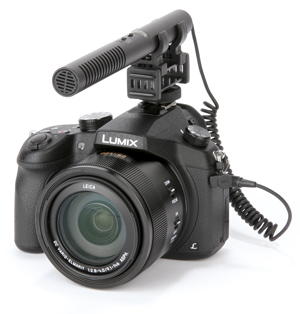 This is advantageous for CSC users, as the microphone feels far more comfortable when used on top of lighter cameras. Also, for infrequent users, the exclusion of a battery means one less thing to worry about. The resulting audio is good but it does pick up a lot of background noise when talking to camera, especially at distances greater than 2m. The sound is at times a little tinny, with background noise more prominent. Even so, the Videomic Go improves upon any built-in mic. 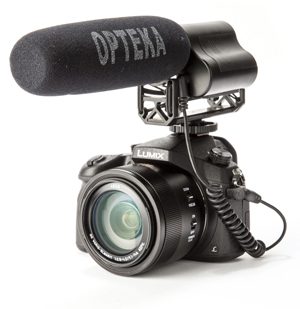 In terms of specifications, the Opteka VM-100 is nearly identical to the Røde VideoMic Pro. It features the same 40Hz-20kHz frequency range and 80Hz high-pass filter, and it is very similar in size, though it is around 90 grams heavier. It has a pad switch that can select -10dB to improve audio in noisy environments like concerts. 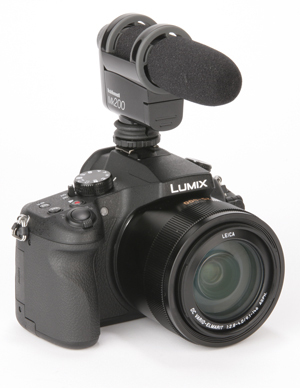 In comparison to the VideoMic Pro, the VM-100’s audio quality was marginally behind. The recorded audio is good, however, and although background noise is present, it is not overly distracting. At distance, it manages to retain this high quality. For those on a budget, the VM-100 microphone offers great audio recording and the kit even included a furry windshield as standard, which is a nice touch. On paper, the 150Hz-18kHz frequency range of the SGM-990 appears to be under par when compared to the other microphones on test. However, in general use, the 18kHz maximum frequency is perfectly adequate and the 150Hz minimum does a fantastic job of cutting out low-frequency background noise. When recording near a busy road, the separation between a person talking and the traffic noise was undoubtedly the best on test. Although it is incredibly clear, it is noticeably flatter and less punchy than the Røde VideoMic Pro, but with slight tweaks in post-production this could be improved upon. More advantageous features include its slimline design, lightweight, metal construction and the fact it uses a single, readily available AAA-type battery. The second most expensive mic on test is a neat little unit, and its compact size means it’s well-suited for use on compact system cameras. It’s distinguished from the other microphones here by having dual anti-vibration mounts – one directly above the hotshoe, and one supporting the mic itself. It’s powered by two readily available AAA batteries, and has a low-cut filter to remove ambient noise. There’s also a large three-position gain control switch, and an LED at the back of the mic warns of possible audio clipping by flicking from green to red. A large fluffy windshield is supplied in the box. Audio quality is good – on par with the Opteka VM-100 – but with a slightly higher tendency to pick up background noise with more distant subjects. This microphone has a three-position gain control, and a high-pass filter to separate vocals from low-frequency noise like air-conditioning units. It’s powered by a 9V battery, and is designed to point through the middle of Rotolight’s circular LED video light, to provide a dual sound and lighting solution (the two can be bought together in a bundle for £179.99). This is a nice idea, but the sound quality is disappointing – at one metre, vocals sounded flat, and at just two metres, they were oddly quiet and distant. The Roto-Mic is also bulky, to allow the RL48 Ringlight to fit around it, and it feels quite cheaply made. If you’re already using a Rotolight then it’s worth considering, but other microphones in this test do better overall.